The Septuagint is a Greek translation of the Hebrew Bible, used by Greek-speaking Jews and early Christian communities. 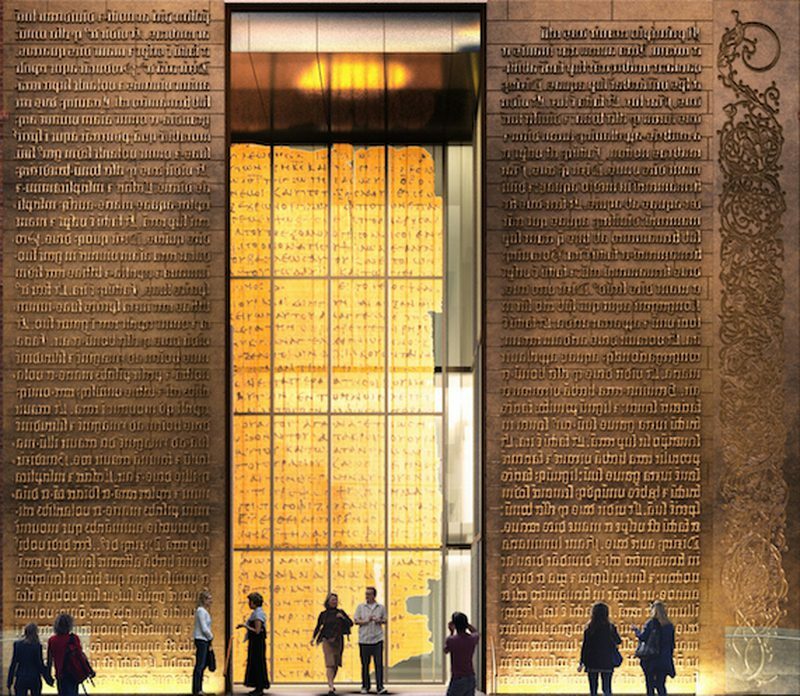 A Greek translation of Psalm 19 for the Septuagint will be etched onto a glass art piece that can be seen after passing through the Gutenberg Gates. This text is from an ancient Greek papyrus leaf of Psalm 19 from the Museum Collections.